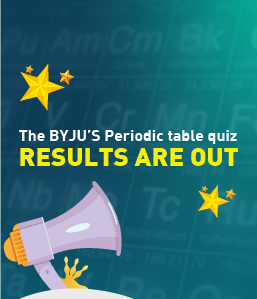 With over 9,000 responses to our periodic table quiz, you have proved that you love chemistry and are craving to learn more! Thank you for participating in the quiz with so much enthusiasm and making The International Year of the Periodic Table so special for us! While many of you aced the quiz and got all the questions right, here are the three top scorers who answered the fastest and won themselves some exciting goodies. Congratulations to the winners of the Periodic Table Quiz 2019! We looked at each response we received from you and, based on the most number of right and wrong answers per quiz attempt, here are the questions that, on an average, emerged as the most difficult and most easy respectively. 92% of you got it right, making this the question with the most right answers! 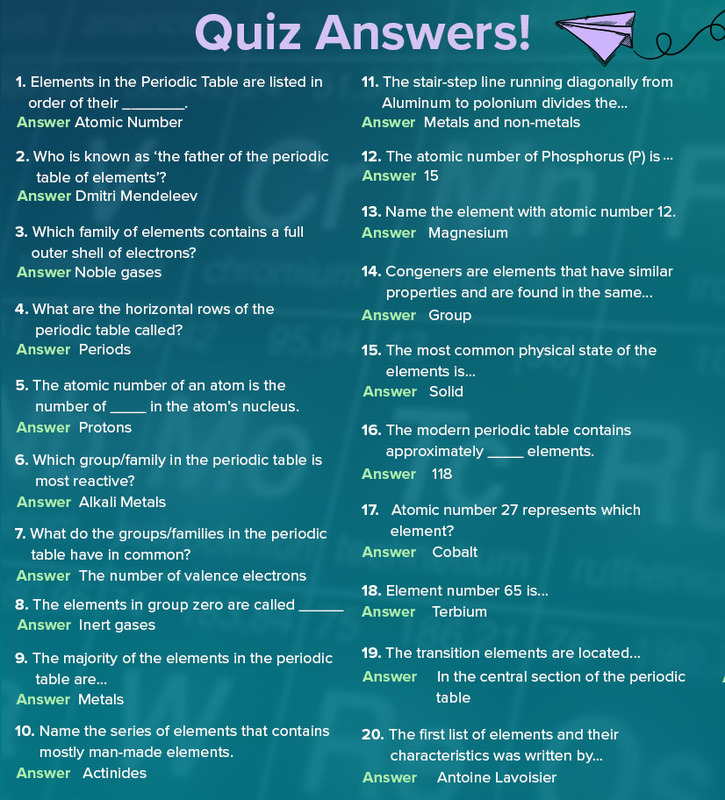 Here is a complete list of all the questions in our quiz along with their right answers so you can flaunt your periodic table knowledge to the world. The fun doesn’t end here. We have something for all the science enthusiasts out there- your very own periodic table from BYJU’S! Use the link below to download this printable version to add some jazz to your normal study routine! 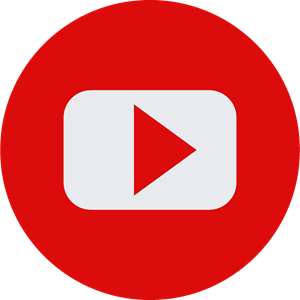 Feel proud to be a student of Byjus. oh…..am not so happy with this result. Congratulations to all participants and winners. Because participating is very important. It is a good way to make periodic table interesting. Congratulations to all the periodic table winners and to all the participants also remember winning and loosing is a part of the game!! My all the answers were right except the one and I got 98% marks in the quiz and then also you didn’t give me the prize and I finished my test very fastly. I should get the prize. I like to read to reading story book . 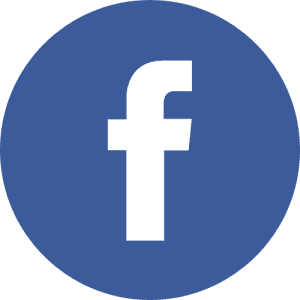 THANK YOU FOR THIS REALLY VALUABLE INFORMATION & A HANDS OFF TO ALL THE CHAMPIONS….